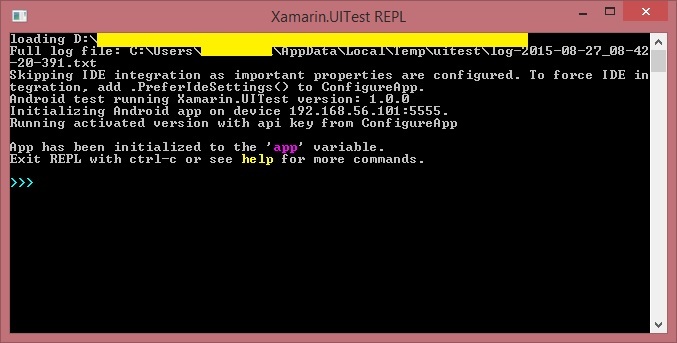 Recently we have used Xamarin.UITest to validate the UI of an app developed with Cordova, and Test Cloud to run such on a lot of physical devices. From now on, we can assume that before we run every single test, the app will be started to go through the home screen. Currently we can start making test of the UI. With this sentence, we are asking “app” to wait until a div in the WebView component appears. Note that the “WaitForElement” method admits some other parameters as the timeout, etc. This could be useful in some cases, for example, when the div is going to become visible after a long operation takes place. This method allows to easily simulate taps. The IApp interface that Xamarin.UITest offers has a lot of methods to interact with the app as ScrollDown, PressEnter, PinthToZoomIn, etc., whose you can call to achieve the desired behavior. 3- Wait until you want to test. We are going to assume that after tapping on the div we have been waiting for, another div will appear. So we wait once again for the second div. Now we have a test that can be run on the same app in both platforms, iOS and Android, and we expect both of them work in the same way. In this window we can call every method IApp interface offers. 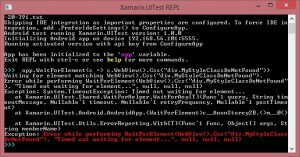 It is very useful because you can use those to create the automated tests step by step. 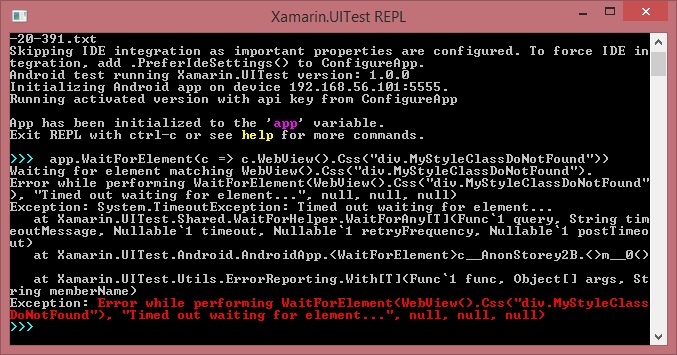 However, if the element exists on the screen, REPL will show us the HTML code of the element. With this simple functionality, we have been able to turn manual tests to automated ones. A very expensive work has been transformed into an automated and cheaper one.